The "complete" burglar is fairly rare, but this one has a devastating impact. This thief plans ahead and waits patiently until the homeowner leaves for an extended period of time. A vacation or business trip may provide the perfect opportunity. The complete burglar arrives in a large truck and uses it to completely empty the house. Passersby will probably believe that the occupants are moving away, or not even pay any mind whatsoever. The "prowler" also engages in a substantial amount of planning. These sophisticated robbers know what items are fast to sell for easy, large amounts of money. They usually don't waste their time on low-value goods or things which few people would want secondhand. Before breaking in, these criminals take the time to uncover a home's most desirable contents. The "hunter" will walk the streets looking for easy targets. They don't plan as thoroughly as the prowler and they are far more opportunistic. Hunters often break in or enter through unlocked doors and windows and usually only take valuables that fit in backpacks or pockets. Appealing possessions include jewelry, cash, smartphones and other portable gadgets. "Specialists" often focus on commercial buildings and luxury homes. They believe that it's only worth taking a risk to steal expensive goods. These thieves are organized, meticulous, and use careful planning. They devote a lot of time to selecting the best targets and studying the values of different items. Specialists usually work alongside other criminals when they conduct burglaries, and they seek out specific items on high demand to sell as stolen valuables. The "opportunist" prefer quick, simple crimes. They don't plan ahead too much, and they don't know the selling prices of many different goods. These criminals typically take advantage of doors that people leave unlocked or windows that remain open. They usually don't cause much damage and may not succeed in stealing the most expensive items. Courts generally don't punish them quite as harshly as other types of burglars. Looters benefit from riots or natural disasters, such as floods, hurricanes or earthquakes. They know that the authorities are busy elsewhere and home or business owners may have fled the area. Such burglaries aren't particularly well-planned, and the offenders are more likely to be identified with surveillance camera footage. This can result in lengthy prison sentences, especially if a state of emergency has been declared. Regardless of these different types, most burglars prefer to avoid violence by entering unoccupied homes, and they would rather be charged with a simple burglary than causing harm to someone. 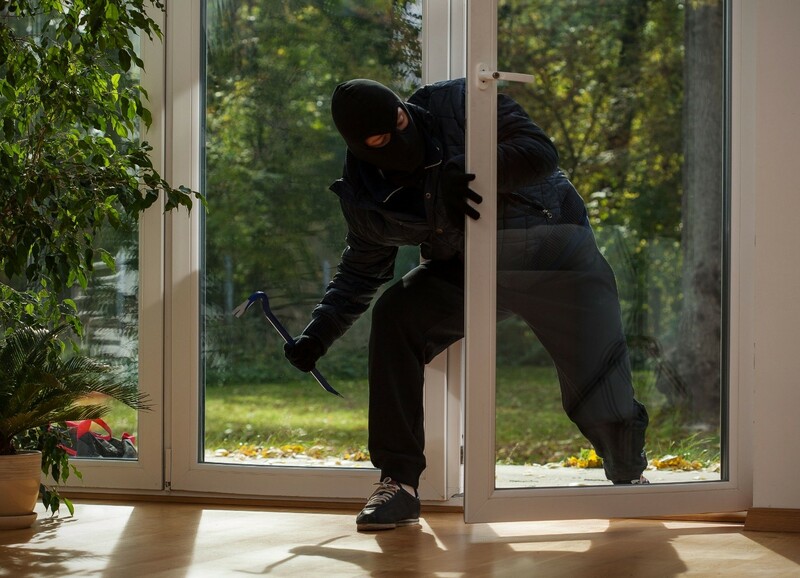 The crime is only considered a home invasion if the offender plans to harm someone inside the building or intends to cause extensive damage. Aggravated burglaries involve weapons and/or occupied homes. So there you have it...6 types of burglars to be aware of. And the only thing that will really keep them at bay is an effective home security system.